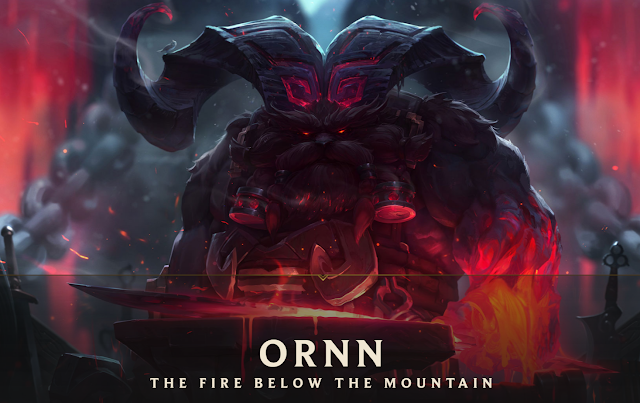 The reveal for our newest champion, Ornn, the Fire Below the Mountain, is now available! 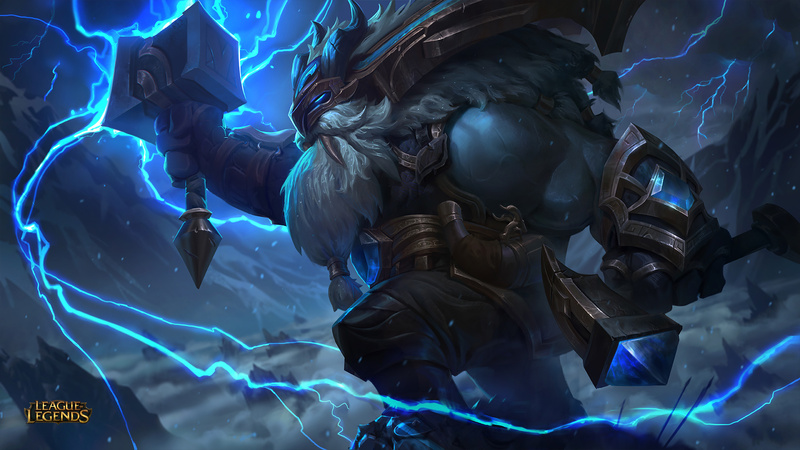 Continue reading for a look at his kit and design,and look for Ornn in the 7.17 PBE cycle! 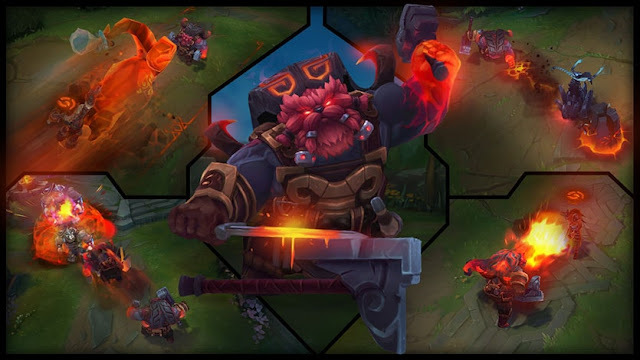 A new champion reveal is now available for Ornn, the Fire Below the Mountain, covering his abilities, design, and playstyle. 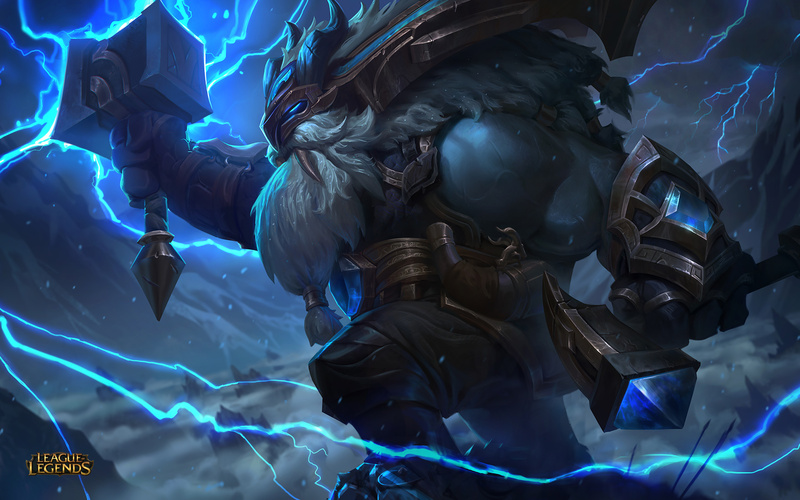 "More than most demi-gods, Ornn values his privacy. Dwelling in solitude beneath an ancient volcano, he stokes bubbling cauldrons of molten stone to forge items of unsurpassed quality. 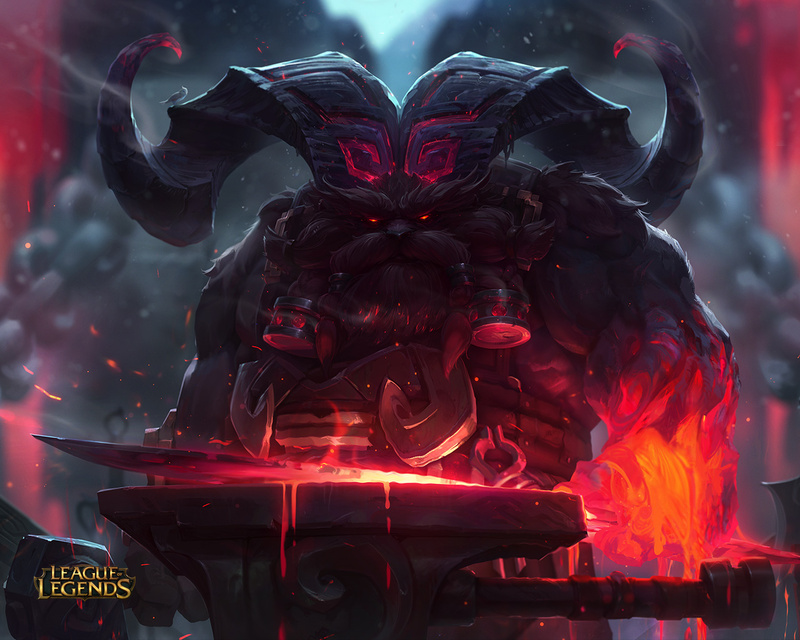 Yet from these depths, Ornn senses trouble; divine beings are once again meddling in mortal affairs. During the upcoming wars, the Freljord—and the world—will need a good blacksmith. 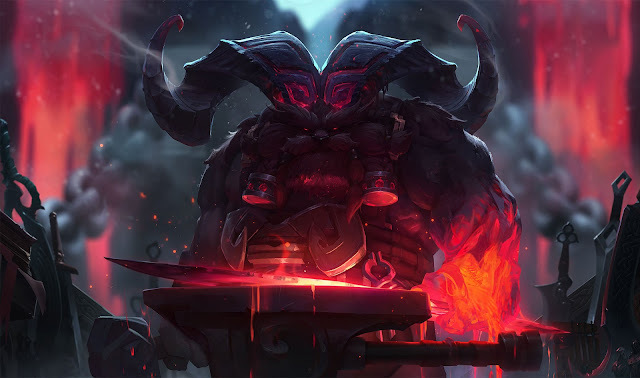 More than most demi-gods, Ornn values his privacy. Dwelling in solitude beneath an ancient volcano, he stokes bubbling cauldrons of molten stone to forge items of unsurpassed quality. 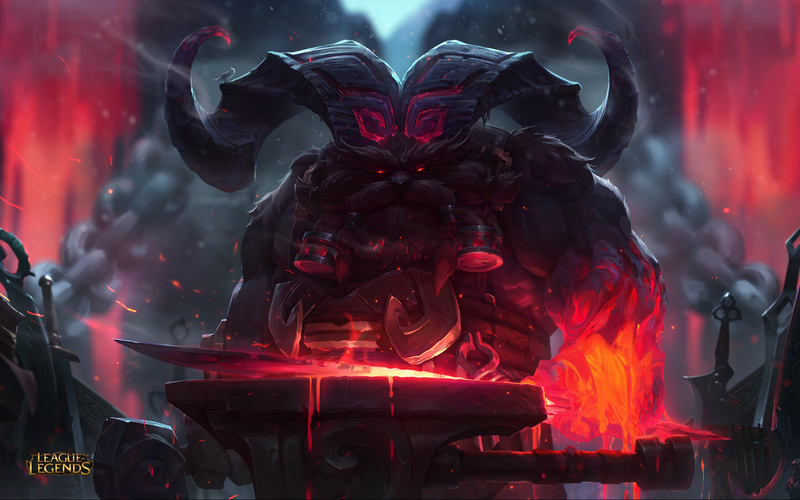 Yet from these depths, Ornn senses trouble; divine beings are once again meddling in mortal affairs. 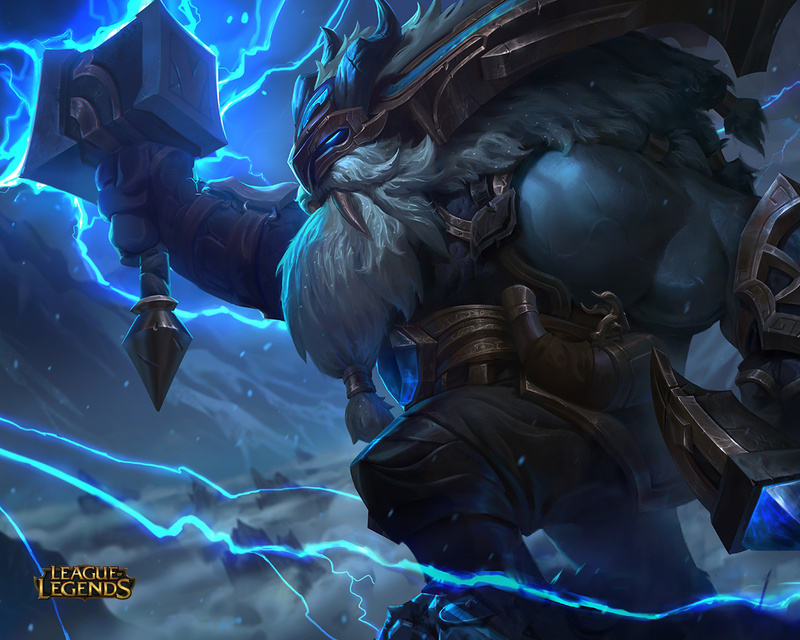 During the upcoming wars, the Freljord—and the world—will need a good blacksmith." "The other players on ornn team have to buy there items from the shop. 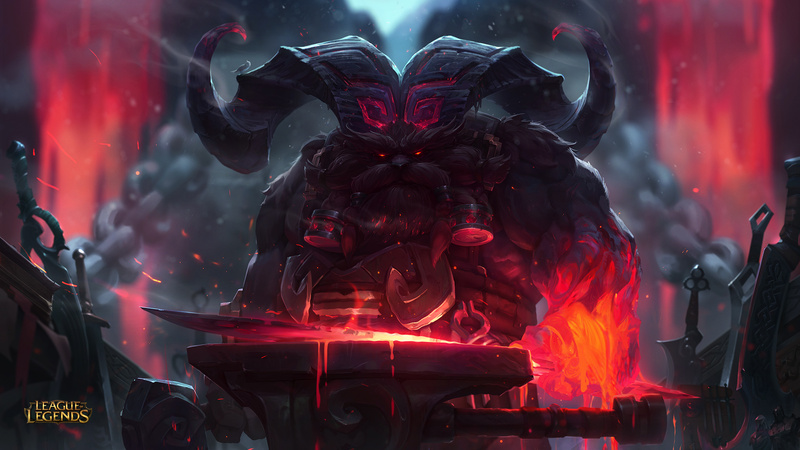 Only Ornn can shop anywhere." Parry spells with W shield + make them brittle"
"FYI Ornn cannot buy potions out of base - he's a blacksmith not an alchemist :)"
"Here's a picture of the items he upgrades."